Very pretty Pearson 26 One Design located on the Delaware River. Handles wonderfully and performs very well. Great cruiser for weekend getaways or bring out the racer in you. 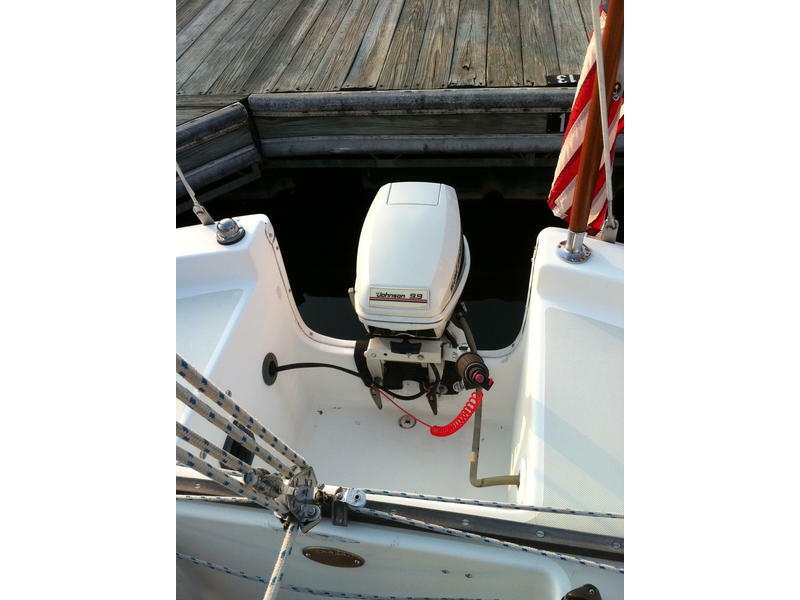 Powered by a 9.9 hp Johnson Sailmaster that purrs like a kitten. Boat is as clean as a whistle. Bottom professionally painted with custom art work. Freshly varnished wood. It just doesn’t get any nicer than this. 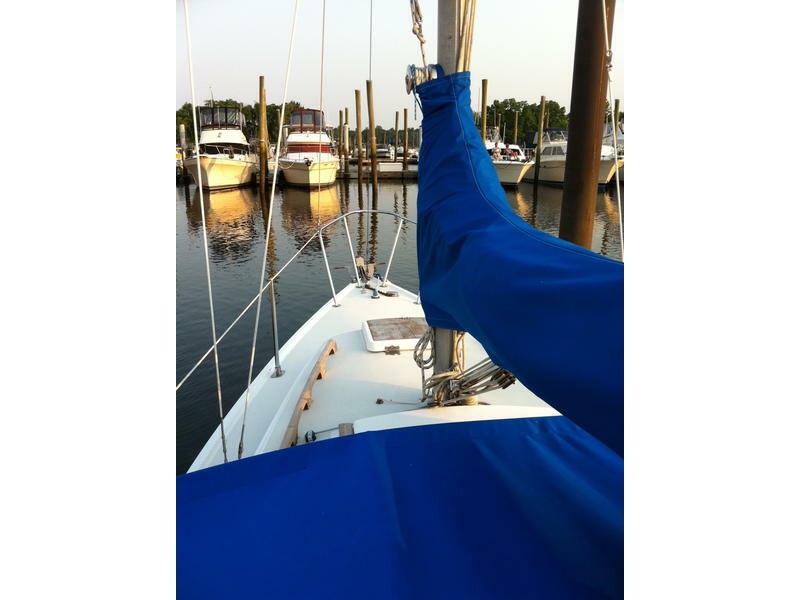 Ready to sail, just make it your own. 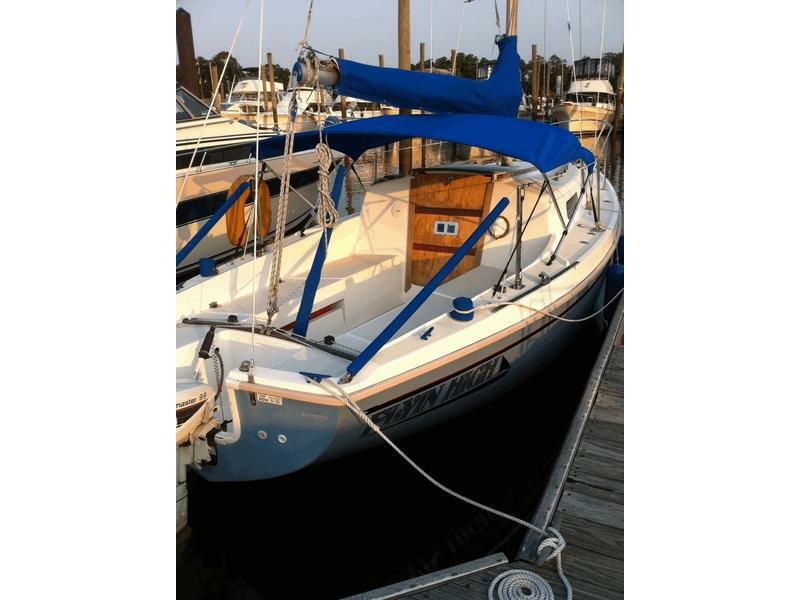 main sail, jib, 150 % genoa, danforth anchor, porta pot, tiller with extension, new depth finder, new cd player/radio, 20 gal. 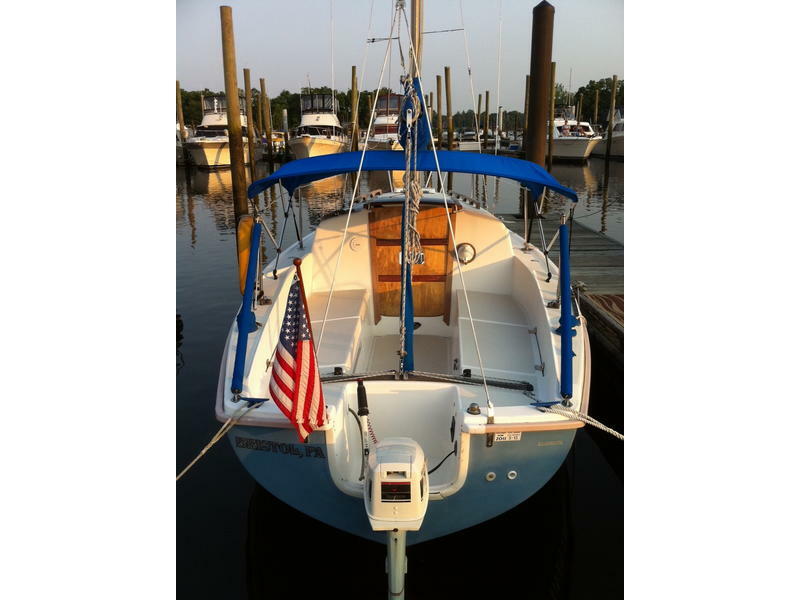 freshwater tank, VHF radio, alcohol burning stove, solar powered battery charger, 2 marine batteries, swim ladder, fenders, dock lines, wench, life preservers, cushions in excellent condition. 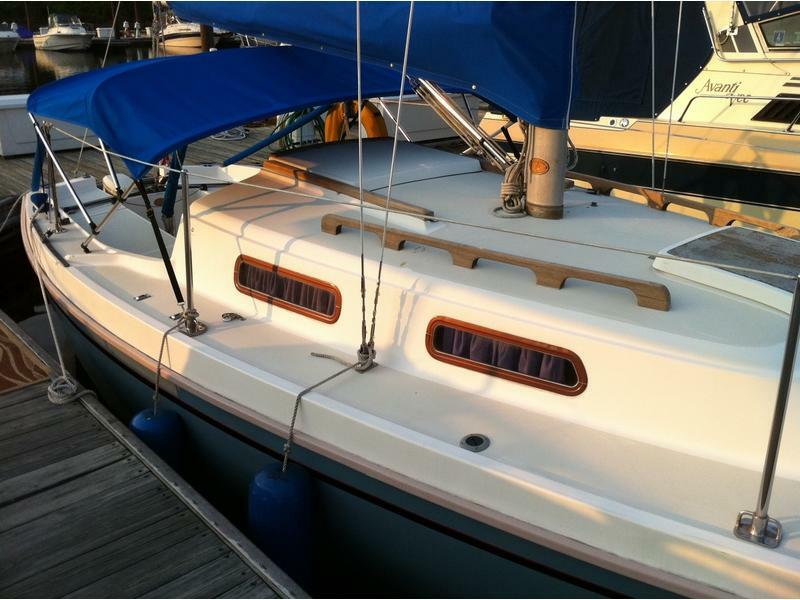 Flairs, first aid kit, jib bag, sail cover and brand new bimini. Many extras.